Mansi received her A.B. in Biological Sciences from Mount Holyoke College and her Ph.D. in Molecular and Cell Biology from the University of California at Berkeley. For her graduate research, she studied comparative genomics of early-diverging animal lineages including cnidarians, placozoans, and sponges under the supervision of Dr. Daniel Rokhsar. In 2009, she began her postdoctoral research on the evolution of regenerative mechanisms in the laboratory of Dr. Peter Reddien at the Whitehead Institute/MIT. She is interested in using an evolutionary perspective to uncover the mechanisms of animal regeneration. Vanessa received her B.S. in Biology from Keene State College. Her undergraduate research in Dr. Jason Pellettieri’s lab explored a potentially new and exciting role for the exon-junction complex (EJC), a key player in posttranscriptional regulation, in planarian regeneration. In the Srivastava lab, her main goal is to keep both the animals and the people of the lab happy and, in turn, keep the lab running smoothly. When not tending to the animals, she also assists Postdoctoral Fellow Lorenzo Ricci in his journey to establish transgenics in our model system. Andrew received his PhD at the University of Chicago in the laboratory of Prof. Neil Shubin in 2016. Andrew’s graduate work has focused on using gene regulation to understand the evolution of Hox gene expression in vertebrate appendages. In the Srivastava lab, Andrew has applied his background in gene regulation to the field of whole-body regeneration, where he focuses on identifying regeneration-responsive regulatory elements. More broadly, Andrew’s work focuses on understanding how the genome restructures during regeneration and how gene regulatory networks are deployed after wounding. Yi-Jyun received his PhD from the Okinawa Institute of Science and Technology Graduate University (OIST) under the supervision of Nori Satoh. For his graduate research, he studied the comparative genomics and transcriptomics of a major animal group so-called lophotrochozoans, including brachiopods, phoronids, and nemerteans. He is interested in using sequencing and imaging approaches to understand how the body axis information specifies the cell types and regulates regeneration. ​Lorenzo received his MA degree in Life Sciences at the Université Pierre et Marie Curie, Paris, France, in the Organismal Biology and Physiology program. He received his doctorate from the "Complexité du Vivant" Graduate School at UPMC, in "Regeneration and Pluripotency" lab under the supervision of Dr. Stefano Tiozzo (a division of the Developmental Biology Laboratory of Villefranche sur mer (DBLV) at the Oceanological Observatory of Villefranche sur mer). For his PhD research, Lorenzo studied non-embryonic developments, i.e., whole body regeneration (by vascular budding) and asexual propagation (by palleal budding), in the colonial ascidian Botryllus schlosseri. Julian received his BS in Biology at Duke University. His undergraduate research with Dr. David McClay looked into how developmental gene regulatory networks were re-deployed during regeneration in sea urchin embryos. At the Srivastava lab, he is interested in studying how neoblasts are specified during the embryonic development of Hofstenia. Alyson received her B.S. in Molecular, Cellular, and Developmental Biology from UCLA. 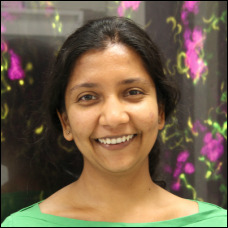 In the Srivastava lab, she studies the establishment of the anterior-posterior axis during regeneration. During her undergraduate work in the Novitch lab at UCLA, she grew cortical organoids and studied the role transcription factors play in the specification of spinal motor neurons during development. Alyson is currently an HHMI Gilliam Fellow, a former NSF GRFP Fellow, HHMI EXROP Fellow, and MARC U*STAR scholar. Ryan received his B.S. in Molecular Environmental Biology from the University of California, Berkeley. During his senior year, he investigated the community ecology of molluscs and became fascinated with nudibranchs. This led him to pursue a M.S. in Ecology, Evolution, and Conservation Biology from San Francisco State University where he studied the evolution of color patterns and biogeography in tritoniid nudibranchs. In 2014, he joined Dr. Nicole King’s lab at the University of California, Berkeley as a research technician working on with the genetic basis of multicellularity and bacterial interactions in choanoflagellates. In the Srivastava lab, he is interested in the mechanisms governing nervous system patterning and neural cell type evolution. Annika is a junior from Newton, MA studying Integrative Biology with a secondary in Women and Gender Studies. Since joining the Srivastava lab in February 2016 she has been focused on the gene expression profile of the early wound response in Hofstenia miamia. ​Marcela is a marine biologist from Colombia and received her Ph.D. in Zoology from the University of New Hampshire. For over 16 years, her research has been focused on the taxonomy, systematics, and development of marine flatworms of the order Polycladida. Marce’s deepening knowledge of polyclads increased and focused her interest in polyclad regeneration. This major career transition brought her to the Srivastava lab where she is studying the function of the Planar Cell Polarity (PCP) signaling during regeneration. Marce is interested in understanding polarity and weather intracellular directional information mediated by PCP pathway components plays a role in antero-posterior polarity decision during Hofstenia whole body regeneration.